A bar brawl ended with two men shot early Sunday morning in Montreal's Ville-Marie borough, but police expect the victims to survive. A bar brawl ended with two men shot early Sunday morning in Old Montreal. 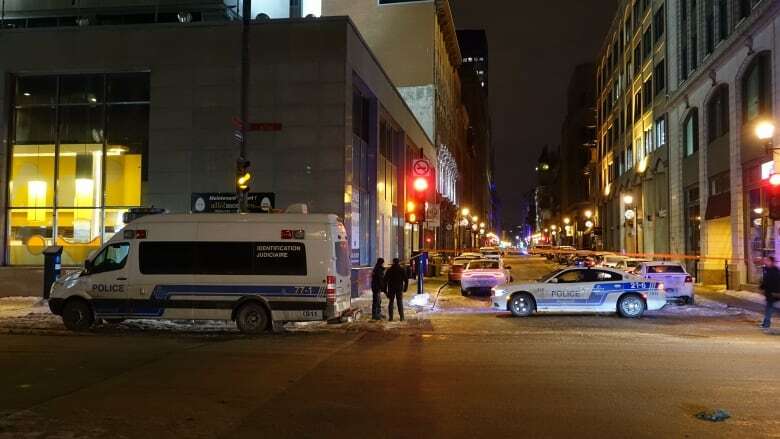 A dispute between two men began at around 3 a.m. in a bar on Notre-Dame Street, near Ste-Hélène Street. The conflict moved outside and turned violent. At least one gun was fired. A 27-year-old man was shot in the foot and the suspect fled before police arrived. A few minutes later, a 21-year-old man contacted police to say that he too had been shot outside the bar. Crime scene technicians were called in to investigate. Notre-Dame Street was temporarily closed to traffic between McGill and St-Pierre streets and has since reopened. Police said both men are in stable condition.